Beirut, Lebanon- Israel will not allow Iranian forces to become entrenched in Syria, its defense minister warned on Monday, after Israeli jets carried out another raid on an Islamic Revolutionary Guard Corps air base in Homs province. 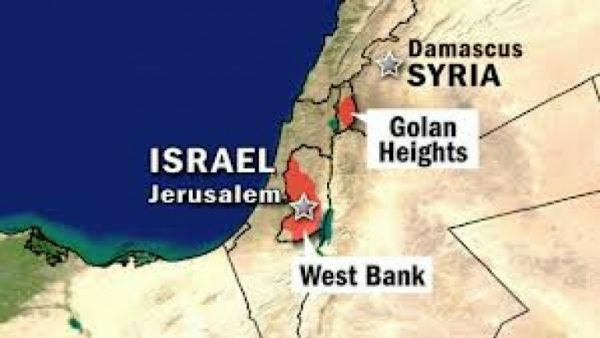 Avigdor Lieberman spoke as Assad regime forces advanced toward the Golan Heights frontier zone that was demilitarised under a 44-year-old UN-monitored truce between Syria and Israel. Regime troops backed by Russia have launched an offensive in the southern Daraa province and are widely expected to move on opposition-held Quneitra, which is within a part of the Syrian Golan covered by the armistice. Israel fears Syrian President Bashar Assad could allow Iran and Hezbollah to move forces into the area, giving them a foothold near its border. “We will sanctify the 1974 disengagement agreement, and … any violation will meet a harsh response,” Lieberman said. Israel launched air raids on Sunday night against the T4 air base in Homs, where seven Iranian Revolutionary Guard personnel died in an Israeli attack on April 9. Meanwhile, Assad regime forces laid siege on Monday to an opposition-held enclave in Daraa and were poised to gain complete control of the city where the uprising against Assad’s rule began. The army was also consolidating its grip over the border area with Jordan to the east of Daraa city. Free Syrian Army fighters have mostly handed over the area along with their heavy weapons after a surrender agreement last Friday. The Syrian army and its militias won a strategic victory in a 20-day offensive after they captured Nassib crossing, a vital trade route that insurgents held for three years. Abu Shaima, a spokesman for the opposition in Daraa, said several thousand people were now encircled after the army pushed into a base west of the city without a fight. “The army and its militias have besieged Daraa completely,” he said. Syrian state media said the army was spreading along the border areas with Jordan. The return of Daraa to Assad’s complete control would deal a big psychological blow to the opposition. You can not blame Israel for whacking IRGC/Hezb as much as possible in Syria. Iran’s mouth-piece are constantly talking and threatening Israel. Preemptive strikes are the best approach, there is no rule that states Israel has to wait till Iran has fully set up its missiles and prepared its offensive positions. Whack them now and eventually they may understand that their allah and their 12th Iman are not saving them. It is hard to get through to the eternally brainwashed Islamic minions. Send some more IRGC generals to the Golans for liquidation.